Evening at the Opera began with Doug and two other hosts back in 1983. The other hosts left the air years ago, but Doug made WMNR and sharing his love for vocal music his life's work and we all are very much the richer for it. Doug's last Opera program was in the summer of 2016. "This is Doug Fox, Host of Fine Arts Radio's Evening at the Opera. If you are hearing my voice on this recording it means that I am either incapacitated or dead. I simply want to express my gratitude to all the listeners whom I've talked with over the years. Evening at the Opera has been a wonderful part of my life, one of the most important things in it, and there is no way I can adequately express my gratitude to you. No one need feel sorry for me, I have had a wonderful life, in large part due to you. Thank you." Although a long-time opera-goer, as a rookie broadcaster at WMNR in 2009, I was a bit in awe of Doug, who was an institution. For Christmas, a Russian relative sent me a CD of the great Soviet tenor, Sergei Lemeshev, whom, I confess, I had never heard of. What a discovery! I couldn’t wait to share the excitement with Doug. It turned out that Lemeshev was one of his favorites and we bonded instantly. Although my wife complained I had no room for them, I started acquiring CDs of more old Soviet singers. If I got ahold of one he didn’t have, Doug would copy it. I copied many more from him. I began to answer the telephone for the many call-ins he got during his program. The highlight of those evenings came with his 30th anniversary show, hearing from two people I knew and never suspected had any interest in opera. I also joined him several times on-air doing Evening at the Opera programs, the highlight being Borodin’s Prince Igor, using four different old Soviet recordings, a cornucopia of great singing. Those joint appearances progressed to occasionally filling-in alone while he took vacation. These fill-ins became more frequent once Doug became sick in 2012. Although fatigued, he always called to comment on the show and give me constructive criticism of my performance as a broadcaster. He could be cranky, but also kind-hearted. Jean Adler was long-time volunteer at WMNR who kept tally of phone donations during his time as on-air spokesman during pledge weeks. Her son had been a student of Doug’s management course at West Conn. At her passing at age 88, Doug dedicated the evening’s show to her memory, generously remembering how she frequently asked, why did he play all those scratchy records? Another example of his good nature was his get-togethers for friends and colleagues, where much opera and record collecting talk ensued over food and wine. One fella had a little too much of the latter one year and his car slid off the road on the drive home, fortunately without damage. I owe Doug musical blessings. He stimulated my interest in Russian opera, an undiscovered treasure-trove for Western audiences. I have shared some of these with WMNR listeners over the past 3 years and have many more to go. Although, it took much persuading, he also turned me onto Berlioz operas. Expanding your comfort zone at any age makes life worth-while. On more than one occasion, Doug proudly said: “Opera is alive and well at WMNR.” The main reason for this was his tireless devotion assembling and presenting 52 programs yearly for over 30 years. This station and listeners from all over will surely miss him. We replacements can’t do the Opera program in his unique fashion, but our mission remains the same: to promote this wonderful art form. The best condolence any listener could offer Doug would be to continue to tune in every Tuesday at 8PM for Evening at the Opera. May God grant you peace, old fella. Douglas M. Fox of Trumbull, CT died peacefully at home on February 28, 2017 surrounded by those he loved and who loved him. A Professor of Public Administration, author of six books, and a public management consultant, Dr. Fox received his Bachelor's degree from Yale University in 1962 and his doctorate from Columbia University in 1968. 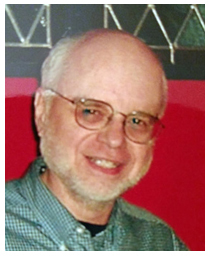 He taught college classes for 35 years and was a member of the faculty at Western Connecticut State University from 1979 until his retirement in 2001. Doug Fox was host of WMNR Fine Arts Radio's Evening at the Opera program from its inception in 1983 until 2016. He was passionate about opera and enjoyed his many conversations with listeners over the years. Doug was proud of the fact that through his opera program he was able to share his love of opera with everyone from beginners to aficionados. Doug was born in New London, CT on May 2, 1940, the son of Margaret Knott Fox and Wilson Ward Fox. He is survived by his wife Diana Fox, of Trumbull; his daughter, Marcia Sellner, and grandchildren, Zachary and Jordon Sellner, of Danbury; his brother, Michael Fox, of Seattle, Washington; his sister, Lyell Fox, of Sequim, Washington; his nieces Kelly Fox Violette, Hailey Fox and Anna Fox; nephews Erik Hildebrand and Adam Hildebrand, and cousins Althea Booth Athenian, Kathy McCutcheon, Marjorie Gerli, Bob Knott and their families. He was predeceased by his parents, his son, Jeffrey Fox and his nephew Brendan Fox. I am so, so sorry about Doug. He taught me much about opera and delighted me for years. Though I was a rather silent fan, I was no less impacted by his knowledge and enthusiasm. Even his prejudices were enlightening. I have missed him since his last broadcast and will continue to do so. I do so hope his co-hosts will continue his tradition and that Evening at the Opera will continue on the air for years to come. I have known Doug for the 33 years he was a WMNR broadcaster. His passion and knowledge of opera was certainly obvious. Unless you knew him, what is not so obvious was his genuineness, sincerity, sense of humor and respect for people. I didn't see him often in recent years but when I did, he would good-heartedly joke about my music with his wry humor. We shared laughs together. For decades, Doug's Tuesday Night at the Opera became an institution at WMNR. Carrying on Doug's memory, long may it continue! In 2006, in my late twenties, I moved home to Connecticut (after five years away) and fell in love with WMNR and Evening at the Opera. I was deeply saddened to hear this evening of the death of Doug Fox whose voice - like some others at WMNR - feels as familiar as a family member's. If there is any worthy legacy for Doug Fox it is that a novice like myself - not knowing a lyric from a dramatic coloratura soprano - actually cares about opera due to his passion, enthusiasm, and knowledge. I will miss hearing him. Worst news of the week, no doubt about it. Doug often stopped by while I was on the air Saturday mornings to update his promo for Evening at the Opera. I would call out "Opera Man!" as he came through the door and then he would make some hilarious comment about an aria he heard me play earlier. A couple times he recommended I not play that particular soprano again and offered advice on much better versions of the same aria. It was always a learning experience with Doug, and fun as well. He was a true gentleman and a scholar, and listeners knew it for sure. Opera Man will be missed by all of us. We would like to express my sincerest condolences in the passing of Doug Fox. I had the great pleasure of participating in several programs on WMNR together with my wife Jane, dedicated to my late parents, the singers Marta Eggerth and Jan Kiepura. We did several programs with Doug and then, some years ago, my mother joined in and appeared in what was a memorable program. Calls into the station were unending. One lady even came around to deliver flowers. Doug’s following among opera aficionados was profound. He was generous and his musical tastes and observations were that of a true professional at the highest level. Doug also had wisdoms as he had wit. His lovely and devoted wife Diana was always at his side. She was a mainstay and contributed immeasurably to every aspect of Doug’s life. A great lady. We will miss Doug. Our thoughts are with Diana. Very sad to hear about Doug. He would come in on Sunday mornings and say hi, and myself Mario Mesi ( I miss you, r.i.p.) and Bill Spielberg would be sitting, with Bill behind the old board when we were at Masuk H. S. when myself, Mario and Bill “ran” the “Men’s Club” at the old studio. There was no problem political or otherwise we could not solve. I will miss them both. I was terribly saddened to hear of the passing of Doug Fox, who could have been dubbed "Mr. Opera." Doug was responsible for inviting me to WMNR, and beginning a relationship that I have completely enjoyed over the last few years. In all my years in professional opera, rarely have I found anyone as knowledgeable and immersed in opera as Doug. He was truly amazing, and I will cherish the times we spent together. It was even more amazing, and gratifying, that Doug and WMNR saw the importance of presenting a program devoted to opera, since there are very few such programs in this country today. WMNR and opera-lovers around the country owe a huge debt of gratitude for Doug for his many years of bringing very interesting operatic programs to the air, in addition to bringing in his friends to share THEIR love of this glorious art form. Grazie, Doug, per la sua vita. Dio ti benedica!! I've listened off and on over the years to his opera show. It always amazed me in terms of the variety, rarity and quality of the singers presented there. The only other radio show that was like this in my experience was the Vocal Scene with George Jellinek, also an erudite lover of things operatic. I don't know of any other show that currently offers the same experience so perhaps it is the end of era for this type of programming. Doug discovered opera in the Family Circle of the old Met during the 1963-64 season. I and two other college friends joined him in that magical place. We saw nine operas, mostly Verdi. They included a Siepi Don Carlo, a Price/Corelli Trovatore, an Amara/Corelli Aida, a Macneil/Nilsson Macbeth, a McCracken/Tebaldi Otello, Leonard Bernstein's Falstaff, and, at the New York City Opera, a Traviata with Sills and Igor Gorin, making one of his few New York appearances. No wonder we fell in love with opera. When I listened to Mel Siegel's March 7 Evening at the Opera program featuring the wonderful Leopold Simoneau, I learned that Simoneau had only performed five times at the Met, all in Don Giovanni during the 1963-64 season. It so happened that his last performance, November 11, was our first Met experience. The other singers that night were Tozzi, Stich-Randall, Della Casa, Flagello, Scovotti, Uppman, and Giaiotti. A pretty good night at the opera. I left New York after that year, but I have many tapes from Doug's unique Evening at the Opera, where for 33 years he shared his great knowledge and enthusiasm and inimitable wit with all who would listen. And those who listened were blessed indeed. Alas! I have so many fond memories of the man and of his work. I guest hosted with him a few times a number of years ago (conflicting Tuesday commitments made continuing this hard). Listening to him and his selections; calling in and chatting; some social events with other WMNR opera fans: now that chapter is closed. Thanks, Doug, and thanks, WMNR, for all the joy you've given my wife Mary & me, and for all you've done for opera in Connecticut. One of the many wonderful features of Tuesday Evening at the Opera was Doug's interviews with important artists. As an example I remember more than one interview with Nedda Casei, a wonderful Mezzo who sang at the Met and elsewhere. She would journey up to Monroe for these interviews, and Doug would discuss her career, her roles, and then play recordings of her from his vast collection. I had the occasion of meeting her a few years ago and she remembered fondly her appearances on Tuesday Evening at the Opera with Doug. I owe much to Doug Fox, and after listening to your beautifully balanced memorial to that wonderful man, I decided to write despite remembering Doug’s wistfully telling me years ago that he regretted that too many of his callers were not dues paying members. He had a good point. If you enjoy participating in programs like Evening at the Opera, you should pay for the privilege. I stopped calling almost ten years ago when I found myself no longer able to pay my dues, but I did not stop listening to WMNR especially on Tuesday nights. I stumbled on Evening at the Opera and Doug Fox by accident while surfing the FM dial in Dutchess County just a few years before George Jellinek’s program went off the air at WQXR, Doug’s style and willingness to express his opinion was refreshing, and, of course, his depth of knowledge was staggering, In my case, he struck the right nerve because his taste in singers, singing and staging seemed close to mine, but most compelling of all was his love for the music. Please extend my condolences to Doug’s wife and family. Thank you Doug wherever you are. And thanks to all of you at WMNR, not just for keeping Evening at the Opera going, but for keeping your special station special. Perhaps the two questions I am asked most frequently about opera are "What is your favorite opera ?" and "Who is your favorite opera singer ?" Alas, they are impossible for me to answer. For me, they are similar to "What is your favorite meal?" or "What is your favorite wine?" While my grandfather had chocolate and vanilla ice cream for dessert every night for 40 years, I do not want the same dish or wine every evening. Just as one might want a light meal or wine on a summer evening, sometimes I wish to listen to the operatic comedies Don Pasquale and the Barber of Seville more than any other operas. Likewise, while a rich stew and a full bodied red wine might be appealing in the dead of winter, there are times when I must listen to Boris Godunov or Parsifal. It is even difficult for me to list my favorite opera from a particular repertory. My favorite Russian opera is probably Chaikovskii's Queen of Spades, but at times I might prefer Rimsky's Mozart and Salieri or Mussorgsky's Khovanshchina. Likewise, while my favorite American operas are Moore's Ballad of Baby Doe and Floyd's Susannah, at times I must hear Adams's Nixon in China. Naming a favorite opera singer is even more difficult. There are six major voice types - soprano, mezzo, contralto, tenor, baritone and bass. On top of this there are falsetto singers like countertenors, subcategories (e.g., basso cantante, basso buffo, basso profondo) and hybrids like the bass-baritone. Lyric tenors from the 4 major operatic national schools - Italian, German, French and Russian - used to sound distinctly different from each other, so how can we compare apples to oranges? Changing techniques and styles, as in the case of the Italian tenors Fernando De Lucia and Enrico Caruso, further complicates matters. The enormous number and variety of singers has led me to present as many different singers as I can on 'Evening at the Opera', for I know that not all listeners like the same singers, any more than they all like the same meals and wine. For this reason I ask listeners to call with their choices and opinions. No one opinion about a singer or opera - and certainly not mine - is infallibly correct. Rather, we all learn from listening to the preferences of others and the reasons for these preferences. And presenting this rich menu of choices to WMNR's listeners is always lots of fun. That's why I do it.